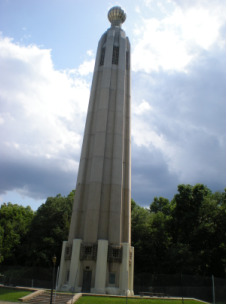 Edison Real Estate (08820) is a dynamic real estate market in Middlesex County, New Jersey. 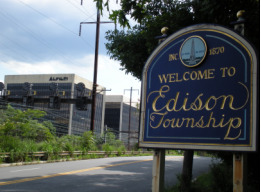 Edison was voted the second most livable small city in New Jersey by Money magazine in 2006 and 35 out of the top 100 best places to live in America in 2008. * Single family homes only. Calculated for 2013 YTD on Sunday 02/03/2013. *Data source extracted for Edison Houses only and do not include Condos and Townhouses, Commercial Properties, Multiple Dwelling, Adult Communities, etc...Please read our Disclaimer. More North Edison Real Estate statistics and graphs. The following link will open to the Middlesex County Multi Listing System (MLS) database: Edison Property Search . It is the most reliable database to search for North Edison homes for sale and Edison real estate with all information kept current. Local MLS's are the databases managed by real estate professionals and are the source data that feeds other real estate websites. I am myself an Edison resident, Edison real estate agent and would be happy to help you find your next home in North Edison, Clara Barton, South Edison or anywhere else in greater Edison township. I know Edison very well down to the smallest neighborhood, I am usually aware of new homes for sale the same day they are listed on the MLS. You want your Edison real estate agent to be informed and involved as to find you the best home based on your specific wants and needs. I can help you find your very own home and additional guide you with local downpayment programs, grants, other incentives and through every steps of the home buying process. See our last home buying workshop. When you are ready and need an Edison real estate agent, contact me - You won't regret you did. Thanks again and have a wonderful summer!" - Diane V.